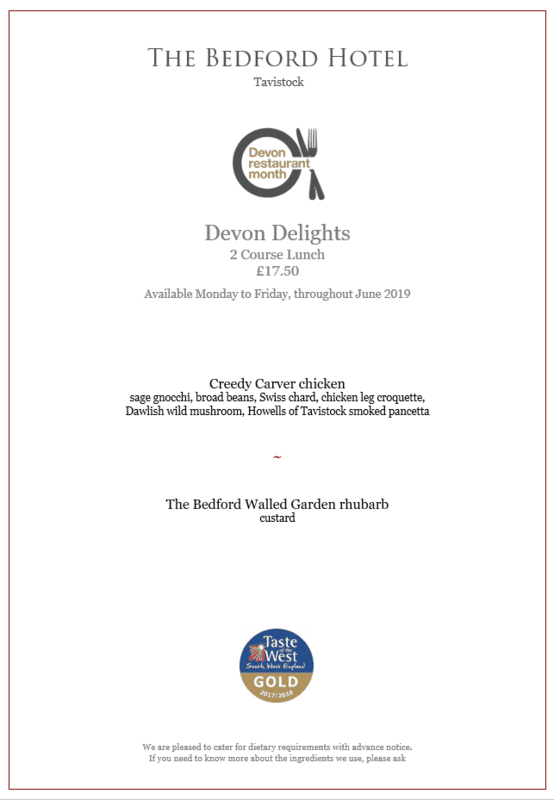 June is Devon Restaurant Month, and we're celebrating with a delicious two-course set lunch menu showcasing some of Devon's finest ingredients of the season. Set menu – 2 courses – £17.50. Available Monday-Friday throughout June 2019. Call 01822 613221 to reserve your table, or book online.